The next time a recruiter contacts you, don't be surprised if it's by text. Companies are increasingly using personal texts or text-based platforms to open a dialogue and speed up their interview process, in place of early-stage "phoners" or screening calls. 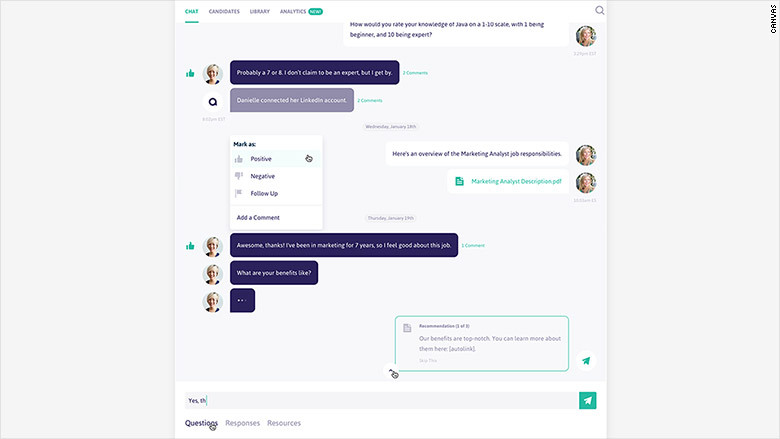 By pushing the chat-based systems that function like Slack or Google Apps (eco-systems where so many employees happily co-exist in-house) to the outside of employment, recruiters can get through 10 times as many applicants a day, according to Canvas, a text-based interviewing system. "It is a level of engagement and an efficiency that you can't do with email and phone," says Ann Hightower, director of internal operations at Tx:Team, a physical, occupational and speech therapy company based in Indianapolis. The good news for you is that the phone tag is over, the conversation is on your turf and you'll know sooner if you're in or out. But even if you're a text expert (or so you think! ), this isn't idle chatter. Though it's low key, you're still being evaluated. Here's how to nail your next text-based interview, according to recruiters. Be clear and succinct. In person or on text, the best way to get your one or two points across about why you're the one for the job is to be short and to the point. There's no need for rambling narratives. Regular texting rules apply, says Scott Day, head of hiring at OpenTable in San Francisco. In the same way that companies have adapted and evolved with workplace attire, he says, they are now adapting to communicating with candidates where they are, a few dozen characters at a time. "We used to double, triple check our résumés," says Day. "And now we're just texting words or parts of words. It's okay. Just be clear and be yourself." But that doesn't mean you don't still need to sweat your résumé. "I look at the texts like the business-casual interview, ahead of the suit-and-tie interview," says Aman Brar, the CEO of Canvas. Depending on the company, you'll probably still need to produce a résumé and interview in person. But make no mistake: the interview has started. Texting is an opportunity to put the résumé and your experience into a narrative that will be appealing to your potential employer. 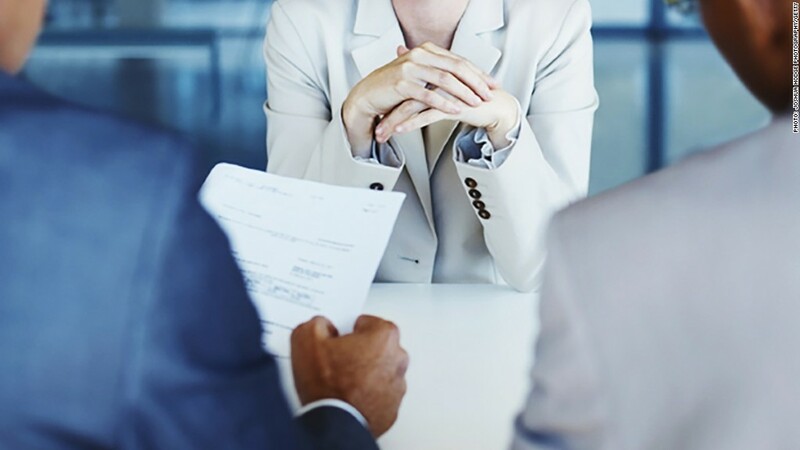 "I've been very impressed with the experience that candidates are highlighting using the résumé as a basis," says Brar, "but telling the story through text is important to support the résumé." Make the most of the asynchronous nature of text by taking the time you need to collect your thoughts, look something up, go over your past experience -- and then answer the question. "If you get two minutes to think through a response," says Brar, "that can make a huge difference for anyone, but especially introverts." It also allows you to reply when you have time to focus on it. "When we send a text, we tell candidates we don't expect an immediate response," says Hightower. "We don't want to interfere with their daily work." As in any good interview, be sure to ask questions. And please don't ghost your recruiter. If the opportunity is not for you, wrap it up with a firm and final 'Thank you, but I'm happy where I am. I'll be in touch should I start looking' -- you never know who you'll meet again down the road. Perhaps your largest looming question: to emoji or not? Keep, top of mind, your audience and the culture of the company with which you're interviewing. Also take cues from the recruiter's style. After a few rounds of texts with a candidate, Hightower finds that candidates relax and are much more comfortable and at ease when talking in person, since they've established a relationship. "But don't get too familiar," she says. "Don't send an LOL or emoji," she says. Scott Day at Open Table takes a different view: "Emojis are great! Where else could you have injected a sense of tone into a conversation like that? Absolutely!" A final word on emoji: "If you're thinking about, 'how can I express myself with as few characters as possible,' there's nothing wrong with a pleasantly placed appropriate emoji," says Brar.